I always look forward to a new Sue Moorcroft book but when this book arrived it was only September and I just couldn’t bring myself to read a Christmas book. Now that it’s November, I feel I can really get stuck into the many Christmas books on my reading list so of course, Sue Moorcroft’s was top of the list! I’d like to thank publishers Avon Books for my copy of the book (and the very sweet owl tree decoration which came with it). The Little Village Christmas is available now as an e-book and from tomorrow, you can buy the paperback version if you prefer. You can order a copy online here: The Little Village Christmas. I was so pleased to find that Sue Moorcroft would be returning to the village of Middledip for this latest book, where several of her previous novels have been set. It really was like popping back to a familiar place you’ve visited on holiday. And it was great to meet up with some characters from those previous books, even if only briefly. Don’t worry if you have never read any of the other books though. They’re not a series, just have a setting in common so it is absolutely possible to read this as a standalone book. I was commenting to a friend yesterday that one of the reasons I love Sue’s books is that she writes in a way that makes me feel that I am reading about real people, that I am among friends. Alexia, Ben, Gabe, Jodie and Carola are so realistically portrayed. They are just normal people with pretty ordinary things happening to them and reacting in a way that you could imagine yourself reacting. They are not perfect characters and are prone to moodiness, angry outbursts and making the wrong decisions. But they are also there when people need them, are able to make the best of bad situations and show love and care, just like any of us. I do love a story about a troubled soul and in Ben and Alexia we have two troubled souls, though troubled for very different reasons. Would they be able to heal each other or would it be double trouble? I always seems to fall a little in love with Sue Moorcroft’s leading men and Ben was no exception. As a woodsman I could imagine him to be the tall, dark, handsome and strong hero you find often in romantic fiction. And he was all these but also had a gentler side caring for injured owl Barney and showing such care and compassion for his Uncle Gabe. Alexia was a wonderful character too. Despite the rather huge setback in her professional life, she got stuck into making the best of a bad situation that wasn’t of her doing. She was strong and determined not to let people down but she also did not let people walk all over her. I like a woman who knows her own mind and doesn’t go all weak and giggly in the presence of the leading man! Sue’s books seems to me to be very true to life – life that can be messy, complicated and full of setbacks. Yet life that can also be full of surprises, love and happiness. 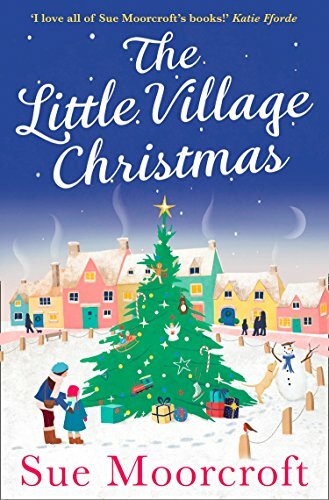 The Little Village Christmas is another cracker of a read from an author I know I can rely on for a completely irresistible story. 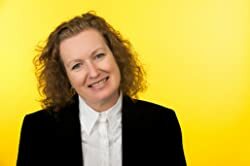 Best-selling author Sue Moorcroft writes women’s contemporary fiction with sometimes unexpected themes. Sue has won the Best Romantic Read Award, been nominated for a RoNA and is a Katie Fforde Bursary winner. She also writes short stories, serials, articles, columns, courses and writing ‘how to’.